Attending to the Concepts of "Broken" and "Wrong"
In this article, we are paying attention to the concepts of "broken" and "wrong." Both are a function of attention or what one is attending to. Why this theme? Because the notions of being broken and being wrong are huge obstacles for those with ADHD. If you attend to being broken, you can't see being fixed. If you attend to the concept of wrong, you can get hung up on perfectionism. Dr. Mark Katz has a presentation, titled "There Is Nothing So Wrong with Us That What's Right with Us Can't Fix." That is brilliant! Let's think about different ways of looking at things. Attention deficit hyperactivity disorder is more an issue of self-regulation than a deficit of attention. In order to self-regulate, one must pause, which is easy to say and difficult to execute. In this episode of Attention Talk Radio, ADHD coach Jeff Copper has an open conversation with Greg, a long-time listener of the show, about the nature and the power of the pause, why it's so important, what's actually happening when one pauses, the challenges of pausing, and what to expect in learning how to do it. If you've got ADHD and are struggling to get anything to work, this is a show that should be at the top of your list. What is the impact of attention deficit hyperactivity disorder on millennials and Gen Z students in terms of college and careers? In this edition of Attention Talk Radio, ADHD coach Jeff Copper interviews Christine L. Robinson on this timely topic. If you are a millennial, a Gen Z student, or someone who supports them, she provides her insights to help you achieve your full potential. Many of those with attention deficit hyperactivity disorder struggle to make decisions. 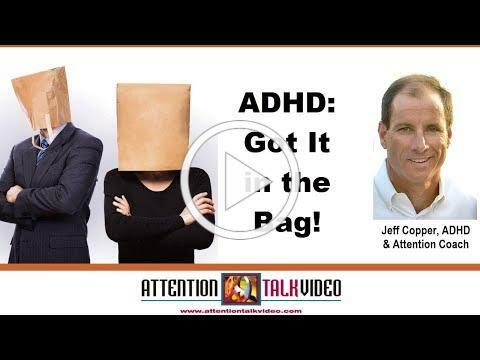 In this episode of Attention Talk Radio, ADHD coach Jeff Copper is joined by Greg, a long-time listener of Attention Talk Radio. They discuss some of the challenges those with ADHD face and offer different strategies and mindsets to use to help in making decisions in general and particularly those that are difficult. If you have ADHD and struggle with decisions, this is the show you won't want to miss. Clutter can be overwhelming to the ADHD brain, and it can be overwhelming trying to declutter. What is a person to do? In this episode of Attention Talk Radio, attention and ADHD coach Jeff Copper interviews ADHD professional organizer Cris Sgrott around the challenges of decluttering and the invisible role emotions play as an obstacle to getting rid of things to live in peace. If you are a borderline hoarder, are overwhelmed with clutter, or just can't seem to get rid of things, tune in and gain insight on what you may not realize that is getting in your way. Attention deficit hyperactivity disorder is a challenging condition. Expectations make it more difficult for those with the condition to work their way through society. In this Part 2 of our series ADHD coach Jeff Copper interviews Dr. Ari Tuckman on ADHD and expectations. In Part 1, they talked about the nature of expectations. In this Part 2, they discuss the impact of expectations, pressure, and the ability of those who have ADHD to thrive. If you are impacted by or support someone with ADHD, this is an important show to set up the right mindset to work with and support those with this condition in a more effective way. Attention Talk Network... Your ADHD Information Source! Attention deficit hyperactivity disorder is a challenging condition. Expectations make it more difficult for those with ADHD to work their way through society. 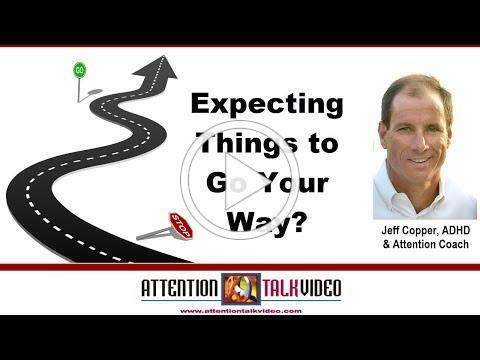 In this second part of the series, ADHD coach Jeff Copper talks about strategies of managing expectations to help reduce anxiety and move forward. If you sense and understand the impact of expectations, you won't want to miss the video below. Expectations around attention deficit hyperactivity disorder are invisible and intangible. Society often has the same expectations for those with and without ADHD. 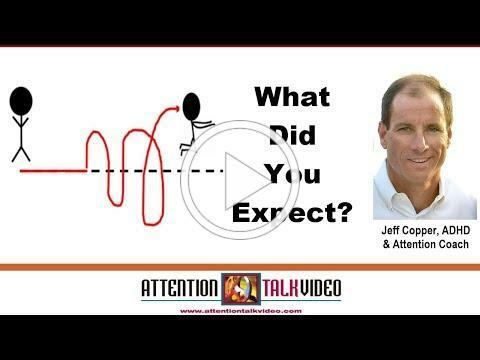 In this first part of a two-part series on expectations, ADHD and attention coach Jeff Copper shares the nature of expectations. You'll be surprised at what impact it has in the world, positively but more importantly negatively. If you have lots of anxiety and struggle with ADHD, understanding expectations will open your eyes. We encourage you to watch the video below and gain insight. Attention deficit hyperactivity disorder and clutter often go hand in hand. Many look at items they have around the house as something of value to keep. Still, they're overwhelmed at all the things they have. 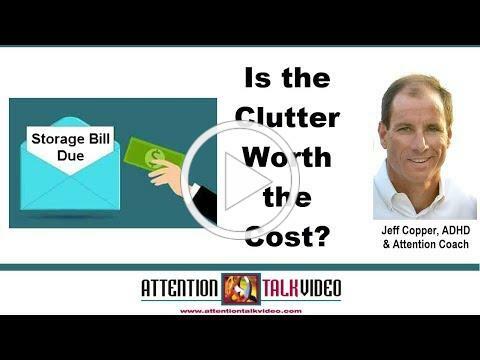 In this video, ADHD coach Jeff Copper talks about clutter and the intangible costs associated with keeping it around. That includes storage costs, the anxiety. and the need for more space that's actually not necessary. If you have clutter, the mindset associated with the cost of clutter might help you let it go. We encourage you to watch the video below to learn more. Attention deficit hyperactivity disorder and clutter often go hand in hand. We've done several videos talking about clutter and the notion that some clutter is actually memorabilia. What happens when you have so much memorabilia that it's overwhelming? In this video, ADHD coach Jeff Copper talks about using ceremonial goodbyes like retirement parties or other ceremonies to let go of what you don't have room for. If you are not a hoarder but struggle with clutter, watch this video for valuable tips on what might set you free. ADHD Parent Tip: Should You Let Your Child Quit? You're an ADHD parent and your child wants to quit something they had committed to. Should you let them? In this video ADHD coach Jeff Copper interviews ADHD parent coach Cindy Goldrich on this challenging question. Watch as Cindy shares her insights. ADHD Mindset Tip: Should You Let Your Child Quit? We've got an attention deficit hyperactivity disorder tip for you! In this video ADHD coach Jeff Copper shares the power of the Ziploc bag. If you struggle with organization, are an out-of-sight/out-of-mind person, or are just looking for insights, watch this video. Thank you for watching. New videos are released weekly, so subscribe today and tell your friends about us. Attention Talk Video... Your ADHD Information Station! Attention Talk News is a part of the Attention Talk Network, which includes sister channels Attention Talk Radio and Attention Talk Video. To learn more, go to www.attentiontalkradio.com and www.attentiontalkvideo.com. To stay current with Attention Talk Network, go to our Facebook page at www.facebook.com/attentiontalkradio or our Website at www.attentiontalknetwork.com. There you can find our show archives, sign up for twice-monthly newsletters, listen to the show live, and view upcoming episodes. You can also leave comments and questions about the shows. Do you have an article related to ADHD you would like to see in our newsletter? Send articles to attention@attentiontalkradio.com. If you like what you are reading and watching from this newsletter, pass it on to a friend. If you would like to subscribe to this newsletter, CLICK HERE . Do you have suggestions for the newsletter? You can email us at Attention@AttentionTalkRadio.com. Copyright 2019. Attention Talk Network, Tampa, FL, USA. All rights reserved. Create processes that work for Your ADHD Brain. Aha!